Lately I’ve been playing around with soups made from scratch. In August I started with Heirloom Tomato Basil, and then I moved on to Butternut Squash Carrot Soup (do you see the seasonal trend here?). Both were pretty tasty, but I wanted to try a mushroom soup to serve for Thanksgiving. 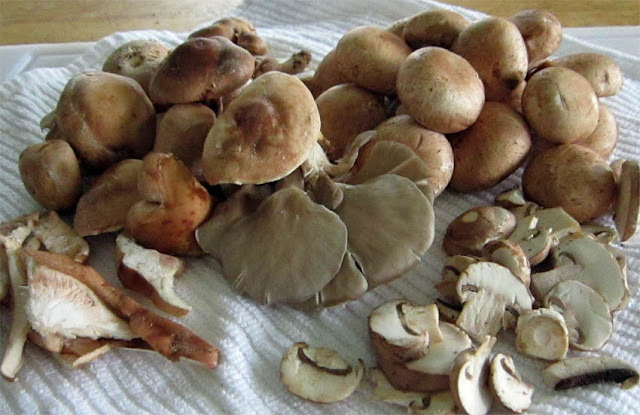 After poking around the internet, I found a Wild Mushroom Soup recipe by Ina Garten (love her!) and tweaked it a bit to my liking. So here’s my version, with a link to Ina’s original recipe at the end of this blog. You start with a variety of fresh mushrooms; portobello, shitaki and cremini mushrooms. I couldn’t find fresh cremini at the grocer’s so increased the number of button portobellos and substituted oyster mushrooms. Here they are all chopped up and ready to go. The stems in the background are used to make the vegetable stock. By the way, this was the first time I used stock made from scratch. I usually buy an organic veggie stock so I was pretty excited about creating my own. 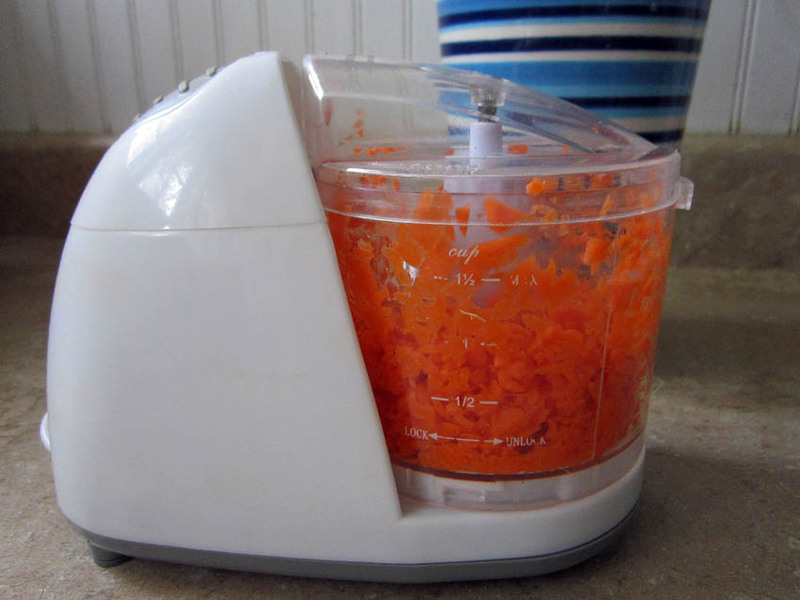 Carrots are used for the stock – I chopped them up in this electric dicer I bought from Aldi’s for about $8. It works like a charm! 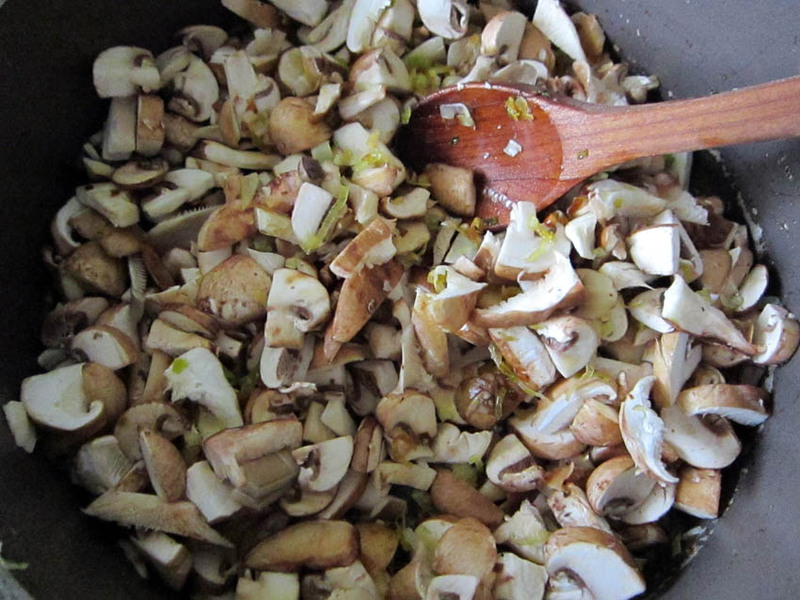 ﻿After the stock is made, you cook leeks in butter, then add the mushrooms. 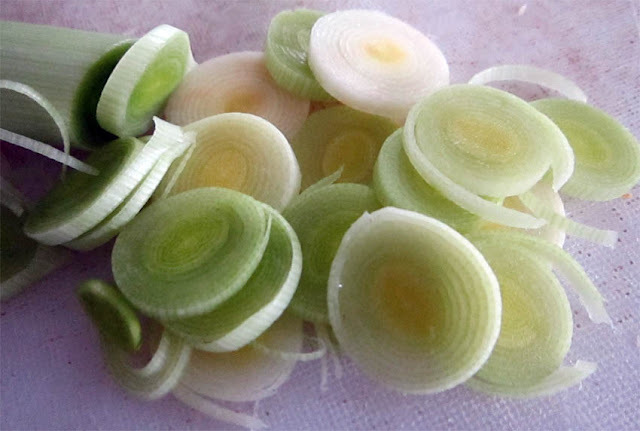 I LOVE leeks! Our local farmer’s stand sells them for 50 cents each. I’m a firm believer in using local produce … and if it’s organic … even better! The mushrooms and leeks being cooked down for the soup. Mmmmm. Smells divine! Add a little flat leaf parsley at the end. 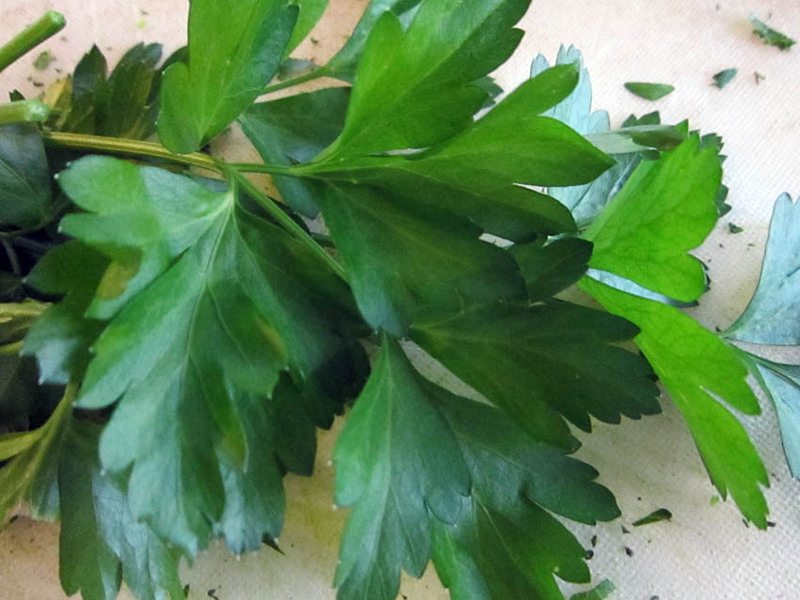 This parsley came fresh-picked from own veggie garden. We haven’t had a killing frost in Illinois yet, so I’ve still got this stuff growing like gangbusters. 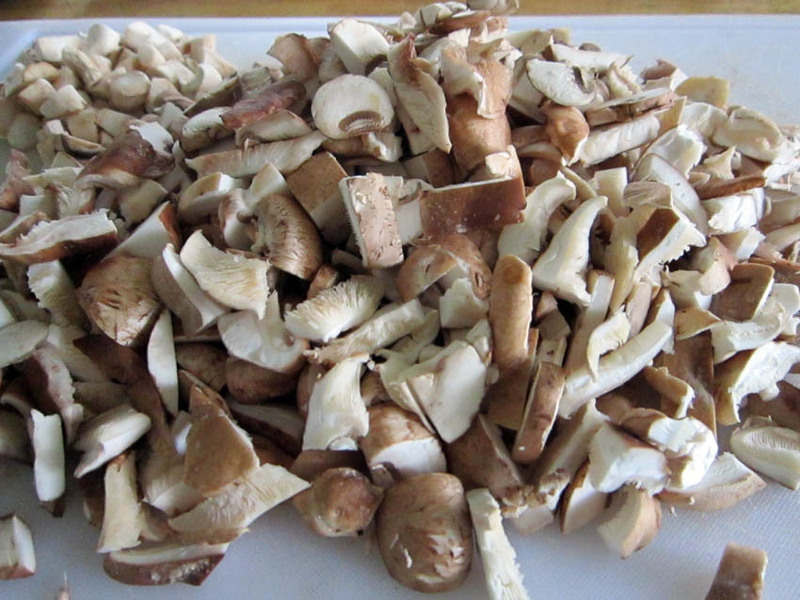 Clean the mushrooms by wiping them with a dry paper towel. Don’t wash them! Separate the stems, trim off any bad parts, and coarsely chop the stems. Slice the mushroom caps 1/4-inch thick and, if there are big, cut them into bite-sized pieces. Set aside. Meanwhile, in another large pot, heat the remaining 1/4 pound of butter and add the leeks. Cook over low heat for 15 to 20 minutes, until the leeks begin to brown. Add the sliced mushroom caps and cook for 10 minutes, or until they are browned and tender. Add the flour and cook for 1 minute. Add the white wine and stir for another minute, scraping the bottom of the pot. Add the mushroom stock, minced thyme leaves, 1 1/2 teaspoons salt, and 1 teaspoon pepper and bring to a boil. Reduce the heat and simmer for 15 minutes. Add the half-and-half, cream, and parsley, season with salt and pepper, to taste, and heat through but do not boil. Serve hot. This was a slight adaptation from Ina Garten’s Wild Mushroom Soup over at Food Network. If you have a link to a favorite soup recipe, I’d love for you to share the it in a comment below. I’m a vegetarian, but I’d cook soup with meat in it for my hubby. Thanks for stopping by! The soup looks wonderful! 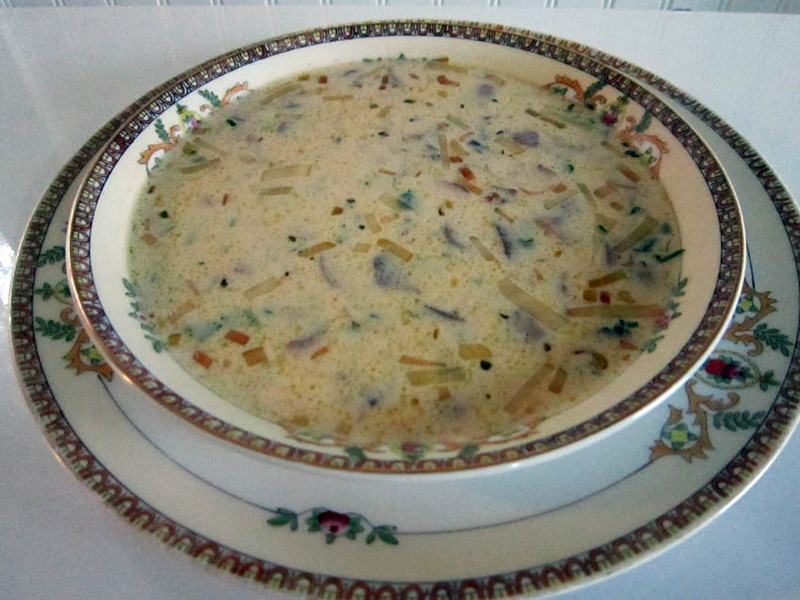 For several years, we hosted an annual soup tasting party and we served a wild mushroom soup. I’m glad I found you through Foodie Friday, and am your newest follower. Thank you, Debbie! I was on your blog yesterday and followed you, too. I love the idea of a soup tasting party. I’m gonna have to do that – maybe in January. Hi, welcome to blogland. I noticed you are a new follower and I came to visit. Beautiful wedding pictures. I hope you enjoy blogging and I look forward to reading new posts. Hi Jennifer, happy to meet you! I love mushroom soup and this sounds like a wonderful recipe for it with all of those different mushrooms. I’ll have to look for that chopper next time I’m at Aldi! Jennifer, this looks marvelous! I love mushroom soup! Thanks for joining ON THE MENU MONDAY with this scrumptious soup! LOVE your photography too! Omigoshhhhh, I am drooling! I love mushrooms! And I love warm, tasty soup in the winter! I’ll have to try this. Thanks for posting! I decided last week that I needed to figure out how to make a good mushroom soup. This looks like a great place to start! 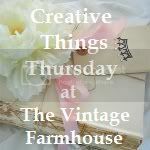 Hope you’ll stop by :0) I’m visiting from Funky Junk’s Sat. Night Special – Best of 2011.